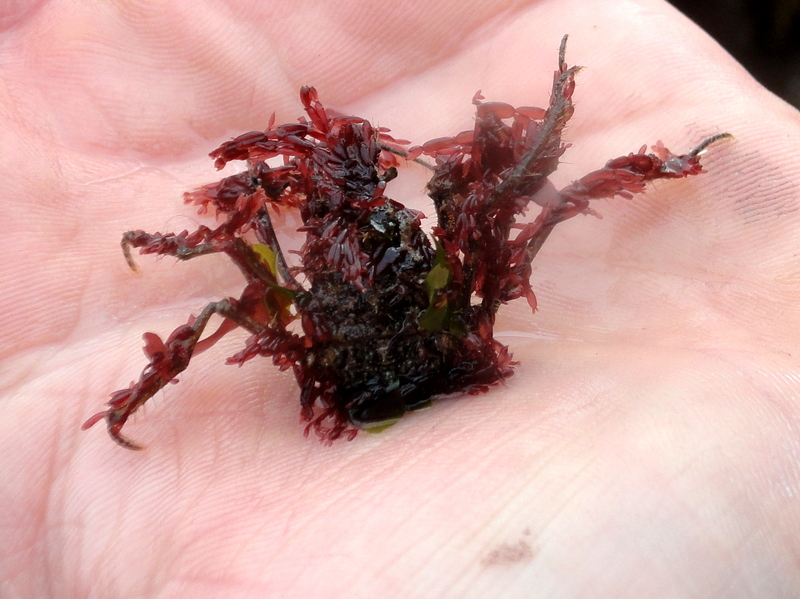 Anyone who goes rock pooling regularly will know that it’s addictive. Even when the tide’s creeping up to the top of your wellies and the rain’s flying at you, you see another stone and you have to know what’s under it. It could be something new. As addictions go, it’s a fulfilling one. 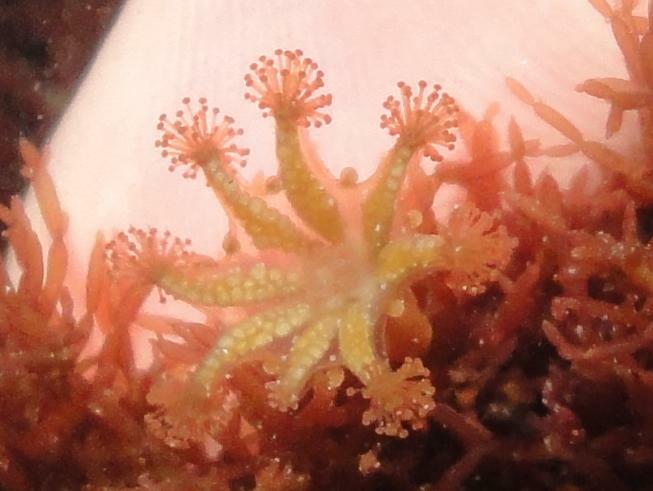 I’ve been exploring Cornish rock pools for more years than I’ll admit, yet every time I go out on the shore I discover something new. I don’t mean new to science – though anything’s possible – just some creature or behaviour that’s new to me. 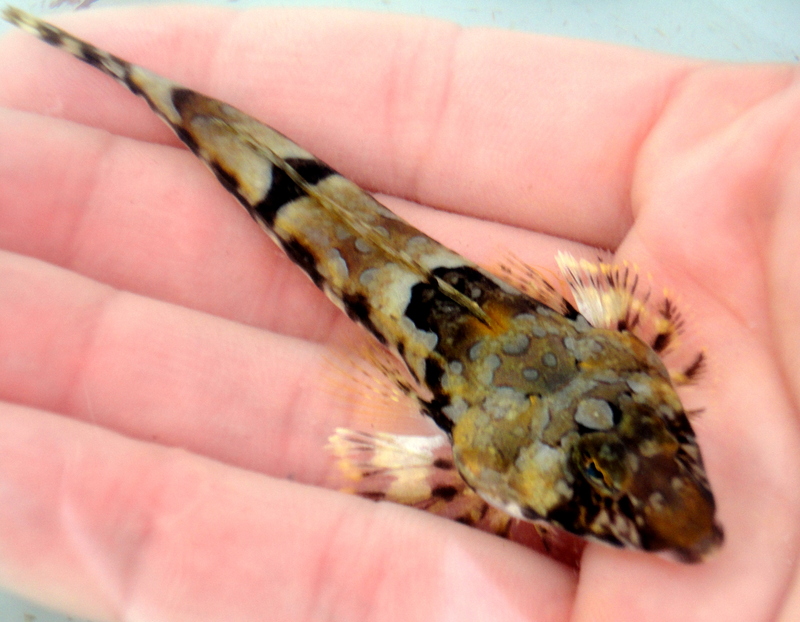 Here’s my latest find, the evocatively named Dragonet. It’s a common fish in shallow waters. When diving, I’ve often seen them zipping along the sea bed. 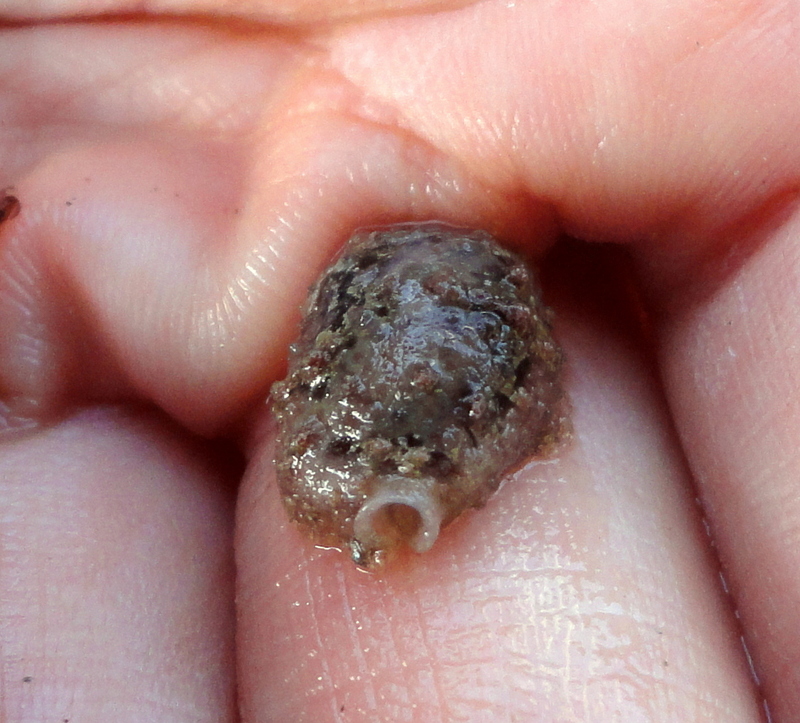 Despite this, I’ve never seen one in a rock pool before. In this environment it’s quite a rarity. This one’s a female. The males have an iridescent blue tinge and a tall, sail-like fin on their back that they raise as part of their courting ritual. This female’s attractive collage of brown, grey and black provides her with perfect camouflage among the gravel on the sea bed. I’m pretty sure of the species as soon as I look at it. I still take photos and spend hours afterwards double-checking books, keys and websites. I e-mail a friend at Cornwall Wildlife Trust to triple-check. 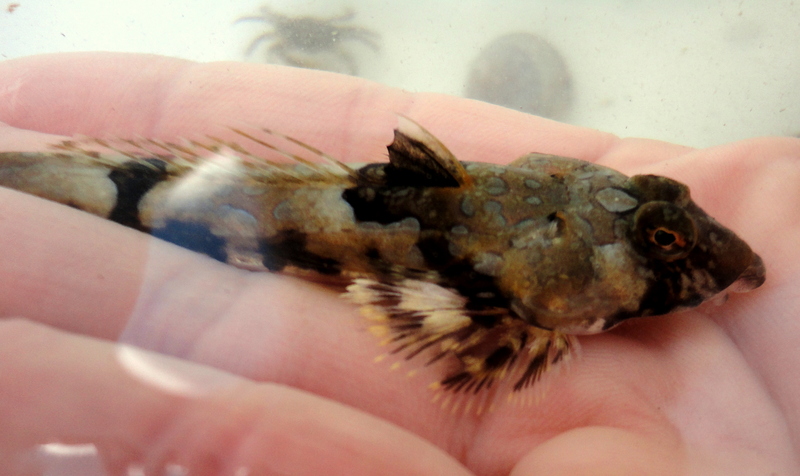 He confirms it’s a dragonet and I’m bursting with excitement all over again. It’s a buzz; the kind of buzz only nature can give. It doesn’t give you a guilt trip or a headache (although I did slip on seaweed and crack a rib on some rocks once), just a sense of admiration, of fulfilment. If you’re reading this you probably already know what I mean. It’s no wonder that contact with nature has been shown to reduce stress and depression. While I wait for the tide to go out, here are a few of my other ‘discoveries’ from the last year or so. I’d love to hear about yours. We started just over a year ago with our 5 year old, and were quickly addicted. We’ve stood there in all weather, even at higher tides when only 1 or 2 pools are visible, always turning over ‘one last rock’ as you say. Our best finds include an 18 inch lobster, a comb jelly, and anytime we find a first, like our first squat lobster, first bloody henry etc. And we keep going back, because each time is different and you never know…. We’ve never found a sea urchin yet, and we daydream about finding a cuttlefish. I can’t think of a better family hobby, (and we even have a go when the wee ones at school if we can). That’s fantastic, Laurence. Isn’t it amazing that you can go to the same place and find something new every time? It’s a lovely way for children to meet wildlife. My little boy loves sea squirts (especially the ones that genuinely squirt water) and jellyfish. It sounds like you’ve found some wonderful things already. I’m still looking for cuttlefish as well, and I’d love to find an octopus. I’ll be posting more finds on this site as well as lots of information about the animals. Let me know how you get on and please do share this site with any friends who might be interested. I’ve never been but your posts and photos tell me that it’s something my kids will love, the next time we visit the coast. Hello, What a lovely blog to stumble upon! I am mother to 2 very enthusiastic rock pooling boys. It seems lately every holiday is planned around their quest for new discoveries at the coast. We will be in Cornwall for the first time later this month. After seeing some of your pictures, my boys are very anxious to get their feet wet.. so to speak. Thank you for sharing your beautiful pictures and words of Cornwall.